It should come as no surprise that Toyota's Lexus luxury brand remains enthusiastic about hybrids. Toyota has sold more hybrids than any other automaker, with luxury models sold under the Lexus brand contributing to a total that just exceeded 10 million. 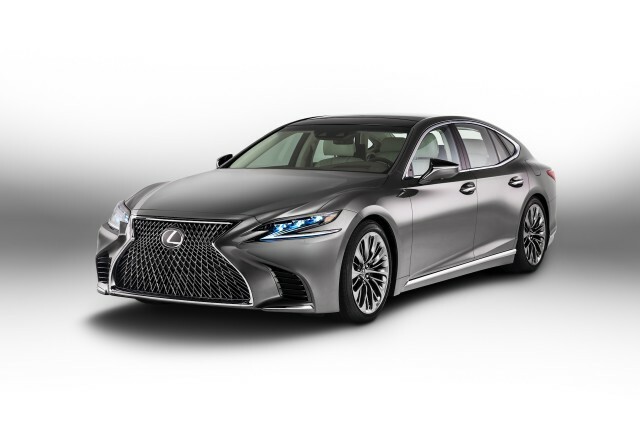 That trend will continue with the 2018 Lexus LS 500h, a hybrid version of the brand's flagship sedan that will debut next month at the 2017 Geneva Motor Show. The hybrid will be the second powertrain option for the redesigned LS, which was unveiled in January at the 2017 Detroit Auto Show. The other is a 3.5-liter twin-turbocharged V-6 in the LS 500 model, mated to a 10-speed automatic transmission. Lexus did not offer any details on the 2018 LS 500h hybrid powertrain, releasing only a photo of the sedan, which is distinguished from its non-hybrid counterpart primarily by model-specific badging. The previous-generation LS 600h hybrid model used a 5.0-liter V-8 engine and a version of the Toyota Hybrid Synergy Drive system, with all-wheel drive. Given that Lexus is downsizing from a V-8 to a V-6 in the non-hybrid LS 500 model, it seems entirely possible that the hybrid will use a smaller gasoline engine as well. That might at least help the new model return better fuel economy than its predecessor, which was more focused on power output, and sold in very small numbers. 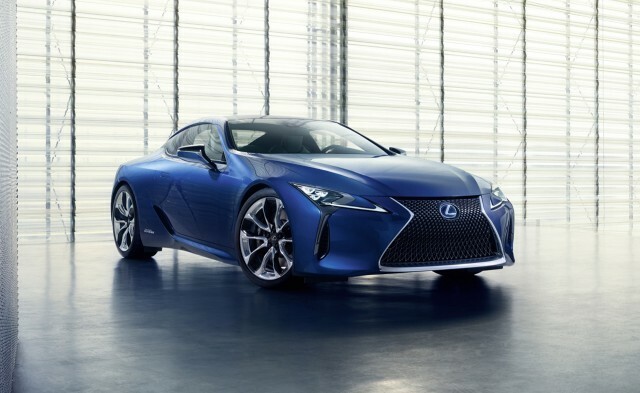 One possibility is that Lexus will adapt the powertrain from its other new high-end hybrid, the LC 500h coupe. 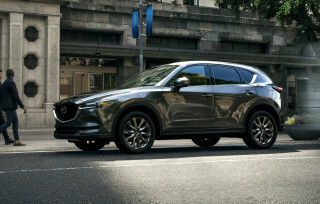 That model uses a new "Multi Stage Hybrid System" that combines a traditional hybrid powertrain—based around a 3.5-liter V-6—with a 4-speed automatic transmission. The geared automatic transmission was added to give the LC 500h a sportier and more engaging driving experience, according to Lexus. 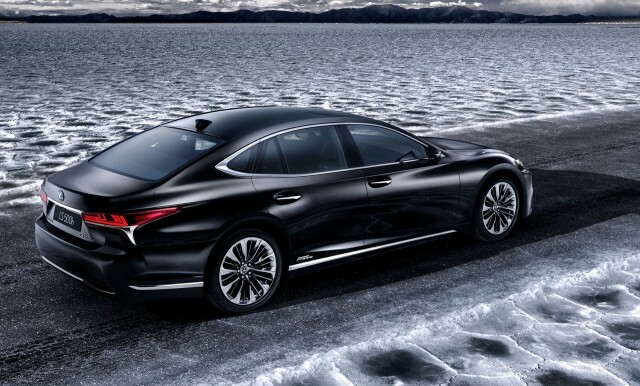 It's unclear if such a feature would be used on the LS 500h, which will likely aim for a smoother, more laid-back luxury-car feel. Previous reports also suggested that Lexus was considering a hydrogen fuel-cell vehicle that may be based on the LS, for launch sometime around 2020. That car would likely be launched in conjunction with the 2020 Olympics, to be held in Tokyo and other Japanese venues. Lexus parent Toyota has been one of the most vocal advocates of fuel-cell cars, viewing them as a better alternative to the battery-electric cars pursued by other automakers. But Toyota is now moderating its view and planning a battery-electric car of its own. For full details on the 2018 Lexus LS 500h and other green cars from the Swiss show, head over to our Geneva Motor Show news page.